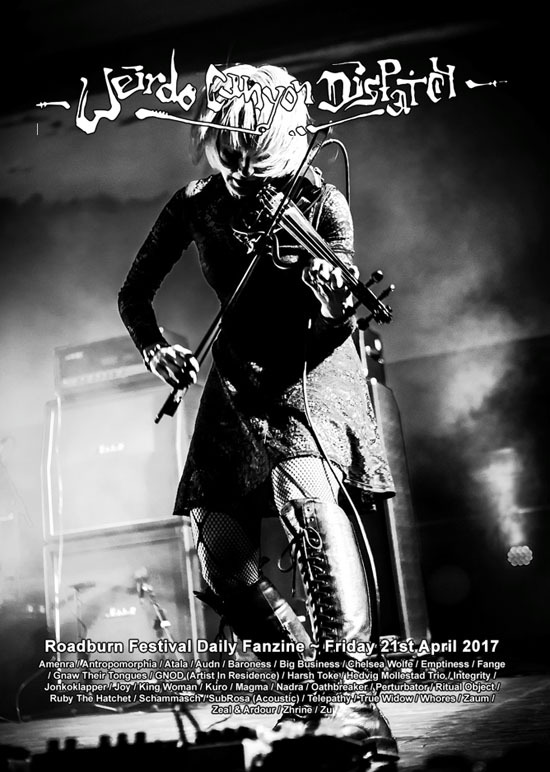 Home » News » Weirdo Canyon Dispatch – Roadburn 2017 Daily Fanzine Friday Issue Now Available! Weirdo Canyon Dispatch – Roadburn 2017 Daily Fanzine Friday Issue Now Available! Live from Weirdo Canyon in Tilburg – Friday, issue #2, of Weirdo Canyon Dispatch, the Roadburn Festival daily fanzine is out now! Featuring a review from yesterday by Sander van den Driesche, Part I of the Kim Kelly interview with Roadburn 2017 curator John Dyer Baizley, Guido Segers takes a look at the local watering holes to hit when you need to take 5 minutes, plus albums of the year so far, a selection of photos from Paul Verhagen and Niels Vinck along with live artwork by illustrator extraordinaire Kim Holm. Download your copy now from the Roadburn website.